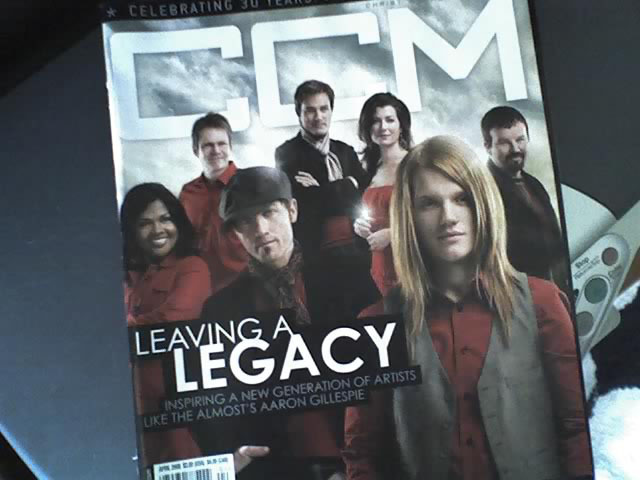 Yesterday I received my final issue of CCM Magazine. It’s been my source of Christian Music news for more than half of my life. They recently announced they will no longer print the magazine but only make it available online. For many of you that may not be a big deal, but this magazine has been in print for nearly 30 years and I have had a subscription for at least half of that. It just reminds me that the world is continually changing around me – I’m just trying to keep up! Any suggestions on a new magazine I can subscribe to? I know you are in mourning…I am sorry for your loss! Relevant Magazine is might be worth considering. It isn’t specifically about Christian music, so it isn’t really a replacement, though.